Young George Johnson lives in extraordinary times. 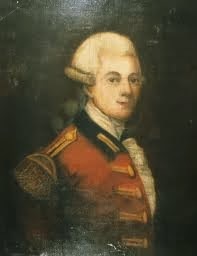 His father is Sir William Johnson, one of the richest and most powerful men in colonial New York. 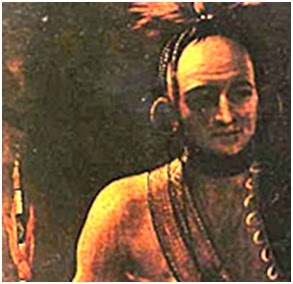 His mother is Molly Brant, step-daughter of a Mohawk chief and sister of Iroquois leader Joseph Brant. George spends his early years in a grand mansion. Johnson Hall is a place where Native American culture comfortably mingles with European customs. But George’s life changes as the War for American Independence looms. Peter goes off to fight for the king against the rebel Americans, and the allegiance of the families of the Mohawk Valley are torn. After William Johnson’s death in 1774, Molly and Joseph urge the Iroquois nations to support the Loyalists. As rebel forces take over the valley, George and his family are forced to flee. Molly sends George to boarding school in Montreal, where he spends three miserable years. Finally, he persuades his mother to allow him to join in a last raid on Mohawk Valley. In a riveting climax, he experiences first-hand the inglorious brutality and futility of war, and struggles with what it means to be half Mohawk. And at last he learns the truth about his brother’s fate. who lives in Kingston, Ontario. Mary Beaty can do anything, including marry people. to each other.) 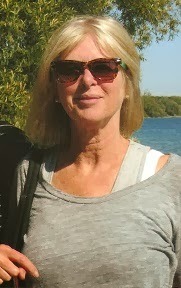 She lives in Toronto. George Johnson’s War is an accomplished work of historical “faction.” Garvie and Beaty have done much research on the fascinating Johnson family, real-life central players in the drama of the American War of Independence. The story is told from the youngest son’s point of view. George, six when it opens, grows up straddling two very different worlds as son of a rich and powerful English baronet, Sir William Johnson, and Molly Brant, sister of a Mohawk chief. The authors, filling gaps in a family history pieced together from letters and historical accounts, trace the Johnsons’ flight from their beloved home, Mohawk Valley, to a fort near Kingston. There, British loyalists have promised them protection in return for continued Mohawk support. Journeying through icy forests, the Johnsons face bears, rebel snipers, and famine. Later George, studying at a Montreal school, is ostracized as a “half-breed.” He is sustained throughout by his hope of a reunion with his soldier brother, Peter. George hero-worships Peter, who, at 16, joins the King’s Rangers in the war against the American rebels, and, more specifically, against the encroaching tide of illegal white settlers in Mohawk Valley. George’s devotion to Peter, and the undaunted courage of his mother Molly, are just two poignant aspects of a fine novel. Garvie and Beaty shape a elegant, seamless narrative without sounding a single anachronistic note. They can’t resist, however, in their portrait of the heroic Johnsons, glossing over their ownership of several slaves. The authors create a sense of tragedy as they document the trust the Mohawks' place in King George III’s promises, laying down their lives in a white man’s campaign. When George as a teen joins the Rangers, he learns about not only the true nature of war, but also the perfidy of men in power. 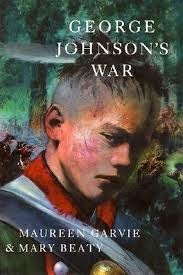 George Johnson's War is about a boy who grows up during the American Revolution. It begins in 1773 when he is a child, and ends in 1781. The story covers everything from growing up on the run, hearing of the death of people you know, to getting a chance at a "piece of the military action." Many of the characters are not fictional. George was the son of Sir William Johnson and Molly Brant, and a family tree is included that shows that George was the fifth of eight children. He was a half brother of Sir John Johnson. In the later stages of the war, George served in the Indian Department. He was involved in the 1781 raid where Walter Butler was killed. He died in the Brantford area about 1826. We see George as a growing boy, in exile, at school in Montreal, and during the war. The book is rather sad, because George wants to hear from his older brother Peter, but the family can't confirm that for a long time what happened to Peter. The death of Walter Butler near the end of the book is a second blow to young George. I didn't expect to like this book, but it is one of the best books I've ever read. You can tell that much effort and research went into it. It can even bring a tear to your eye. I suggest that people over twelve would enjoy it the most. George Johnson’s War is an accomplished work of historical “faction.” Garvie and Beaty have done much research on the fascinating Johnson family, real-life central players in the drama of the American War of Independence. The story is told from the youngest son’s point of view. George, six when it opens, grows up straddling two very different worlds – as son of a rich and powerful English baronet, colonist Sir William Johnson, and Molly Brant, stepdaughter of the Mohawk chief. Garvie and Beaty shape their collaboration into an elegant, seamless narrative without sounding a single anachronistic note.They can’t resist, however, in their portrait of the heroic Johnsons, glossing over their ownership of several slaves. The authors create a proleptic sense of tragedy as they document the trust the Mohawks place in King George III’s promises, laying down their lives in a white man’s campaign. When George as a teen joins the Rangers, he learns about not only the true nature of war, but also the perfidy of men in power.